Cruising has never been more popular or affordable. If you are a first-time cruiser, be sure to use a Travel Consultant to help plan the vacation that is just right for you. 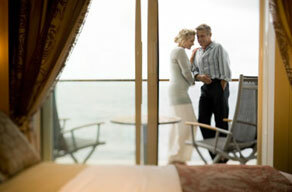 We have extensive knowledge of destinations, cruise lines, and even the character of each ship! Take advantage of our experience. Just do the math. Compare a one week cruise against a week at a non-all inclusive resort. On a cruise vacation, your meals, accommodations, entertainment, and most activities are included in the fare. It’s easy to stick to your budget. Plus, on a cruise you get to visit many different ports of call. Unpack once and settle in for a journey that takes you anywhere you want to go. At the end of the day, you retreat to a floating resort to enjoy fabulous cuisine, world-class entertainment, then get lulled to sleep at sea. Most people are so busy exploring the ship and different ports of call, they spend very little time in their stateroom. If you need more room, choose a cabin with a balcony or upgrade to a mini-suite or suite. You may also want to cruise on one of the larger ships such as the Grand Princess, Royal Princess or Royal Caribbean’s Oasis of the Seas. You definitely won’t feel confined! You might want to consider a shorter cruise for your first time, such as a three or a four day Caribbean cruise. Another option is an itinerary with many ports of call. This lets you discover new places and get off the ship for the day. 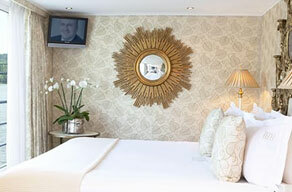 Every guest can enjoy the use of any of the ship’s facilities. The price and the category of staterooms are based primarily on size and location. Whatever category you book, you’ll enjoy the same courteous service, exquisite dining, variety of activities, and world class entertainment as everyone else. So much, you’ll have a hard time choosing! You can go off on your own or take a guided tour. You can search ancient ruins or hunt for shopping bargains. Ride a raft over river rapids, bicycle down the side of a 10,000 foot volcano, or ride a horse across miles of beaches. Climb a waterfall or a pyramid. See the birthplace of civilization or listen to steel drum bands. Follow the footsteps of history or the wake of a water-skiing boat. If there’s still time (and you aren’t ready to rest yet), enjoy a folkloric show. Play golf, basketball or tennis. Discover local and exotic cuisine or learn how to windsurf. Sun and swim on some of the world’s best beaches. Catch a record-size marlin. Sail, snorkel, or go scuba diving. Go to a nightclub or a glittering casino. Take a cable car to the top of a mountain. Explore dark catacombs. In short, a cruise is the easiest way to see new places and do all of the things you dream about. Cruising is the perfect opportunity to sample destinations that you may want to return to for another vacation. You only have to unpack once, and the destinations come to you! Travel insurance can give you and your loved ones peace of mind that in the case of an emergency you’ll be protected. Whether you’re looking for medical coverage in a foreign country or want to protect your belongings, there is an insurance policy that is right for you. If you currently have travel insurance, be sure to understand what is covered and what limitations or exclusions may be listed. Unfortunately, there are a myriad of unforeseeable circumstances that could occur when traveling to a new place, and travel insurance can protect your vacation investment. In general, most cruise lines do not allow you to bring alcohol onboard. If you buy alcohol as a souvenir at the ports of call, your cruise line may store them for you until the end of your vacation. You can inquire with your Travel Consultant for your cruise line’s specific alcohol policies. Princess Cruises’ Youth and Teen Centers include various games tables, movie rooms, and all the latest video games. The new Sun Princess and Dawn Princess have an extensive toddlers’ play area. For teens, there are special entertainment hideouts called “Cyberspace” and “The Fast Lane.” The friendly staff coordinate and supervise a variety of activities including karaoke, movie fest, theme parties, and more. At night, life aboard a cruise ship really turns on. There’s dancing, live entertainment, discos and lounges, feature films, and parties with all your new friends. Most ships even have casinos. There are special events like the Captain’s Cocktail Party, Passenger Talent Night, the Masquerade Parade, and the Late Night Buffet (for that one last bite to tide you over ’til breakfast). And the night can go on as long as you want. Even until the spectacle of sunrise at sea. Pack like you would for any resort. Cruise vacations are casual by day, whether you’re on the ship or on shore. In the evening, ships vary as to dress. Much like on shore, attire is dictated by occasion. At the Captain’s Gala, for example, you’ll probably want to wear something more formal, such as a dark suit, cocktail dress, a dinner jacket, or a gown. On some cruises, formal dinners or parties are part of the fun. But you don’t need to rent a tuxedo just for the trip. Even on the most formal ships, a dark suit and tie are fine for the dressiest occasions. Most ships have 110-volt outlets in the staterooms. Check with your Travel Consultant to be sure.